Do you want to work at the forefront of industry? 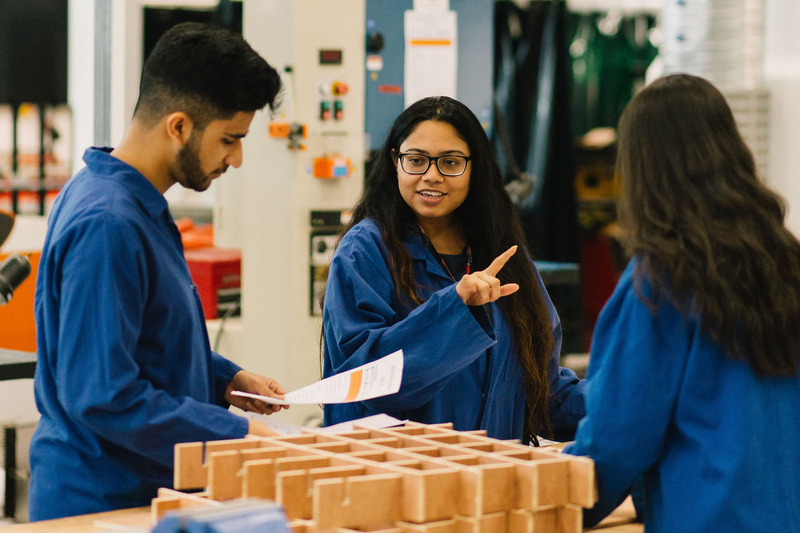 Our BEng (Hons) / MEng Electronic Engineering course will teach you a broad range of skills, helping you to become a rounded electrical engineer. 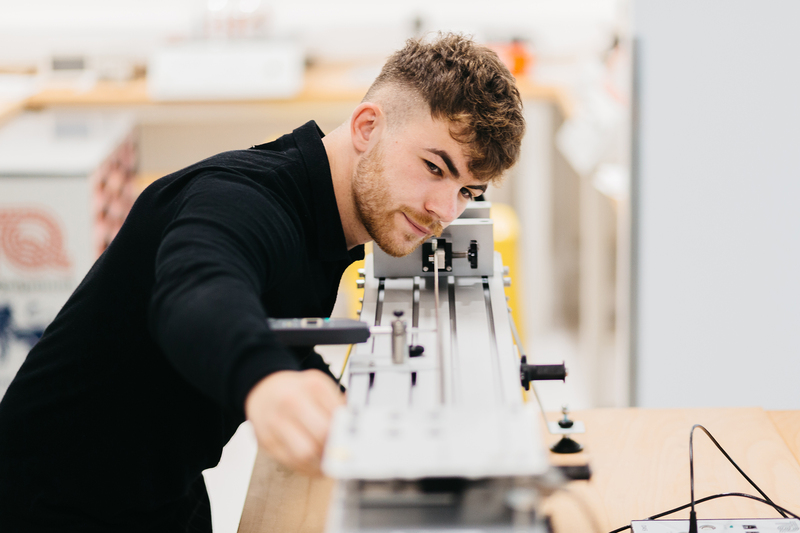 Throughout your degree study, you’ll have access to our state-of-the-art technology and resources, plus you’ll have the opportunity to secure yourself an industry placement, giving you instrumental electrical engineering work experience. Find out about our integrated master's degrees. 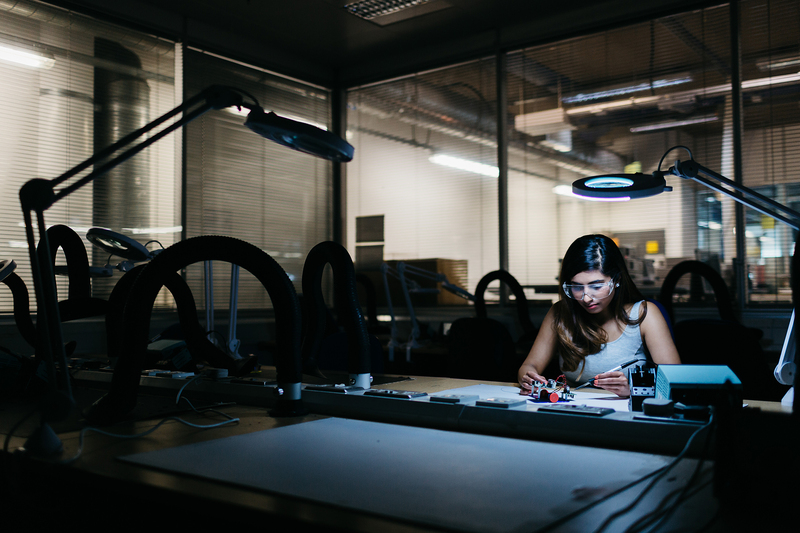 The Electronic Engineering MEng will give you an understanding of the social, commercial, legal, ethical, economic and environmental factors associated with engineering, as well as comprehensive knowledge of the science and mathematics associated with the discipline. You will also develop the key transferrable skills that modern employers require, such as problem solving, project planning, presentation and communication. Our competitions, such as the annual Engineering Show, which includes the international micro-mouse competition, gives you the opportunity to participate in a range of competitions centered on autonomous and non-autonomous robotic vehicles. 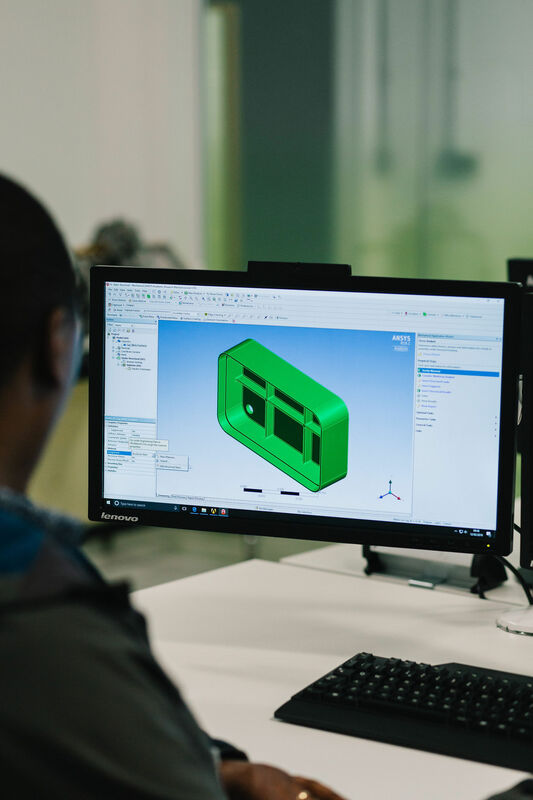 Our engineering courses focus on project-based activities, giving you lots of opportunity to work in teams on projects from design to implementation. 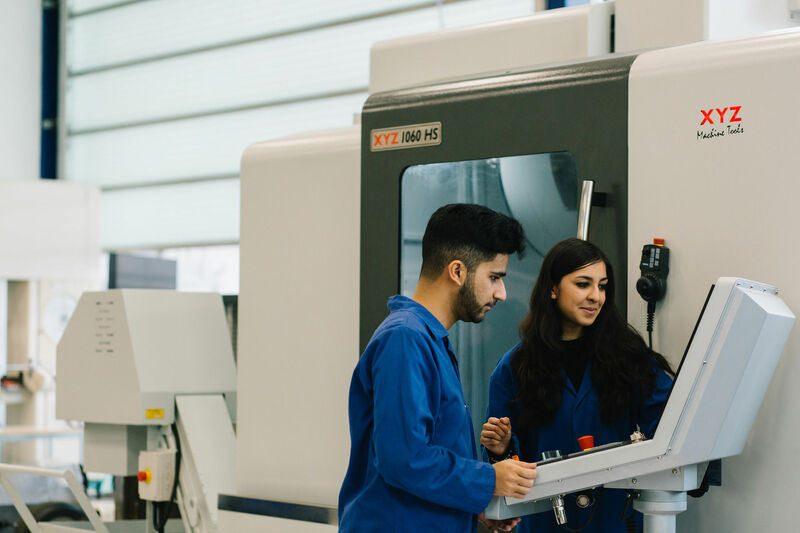 This will give you practical experience of applying engineering science to real world problems, working in multidisciplinary teams to develop your interpersonal skills, and prepare you for a key aspect of modern engineering practice. You’ll also have the option of a placement during your course, either through a summer internship or year-long sandwich placement, which will provide you with the real-life skills and experience you’ll need to stand out from the crowd upon graduation. This has helped former graduates progress into roles within companies such as UTC Aerospace and Vector GB. 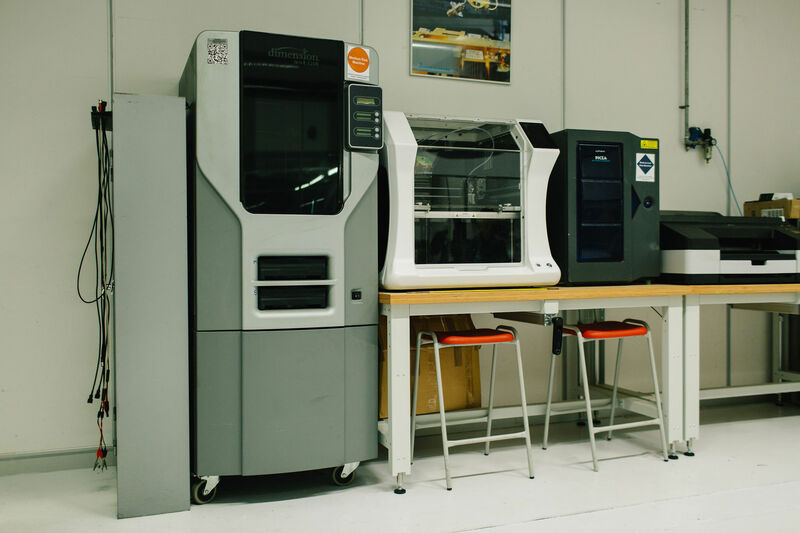 You’ll use our state-of-the-art technology and resources, including rapid prototyping, laser-cutting and CNC machining, as well as suites of open-access PCs. You have the option to undertake an industrial placement year in order to gain valuable work experience. Our hosting of both national and international events, including Global Game Jam and TechFest, enables you to build and design your own creations, as well as gain vital organisational experience. 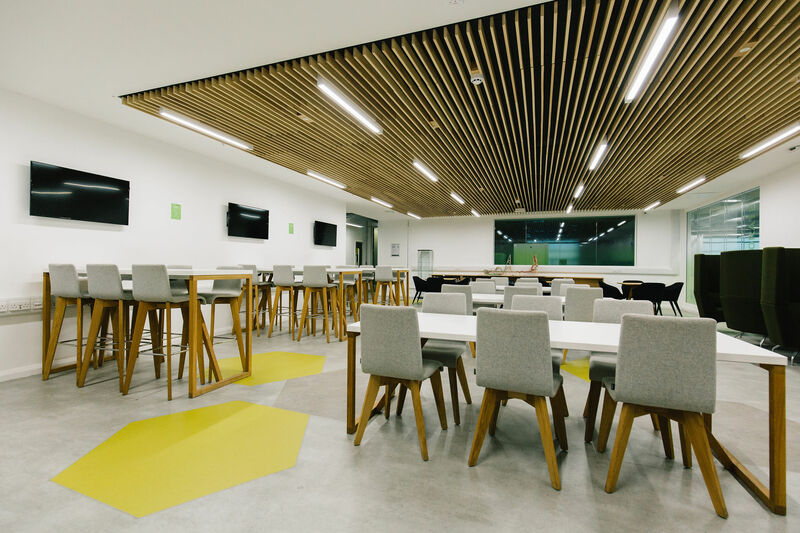 We are ideally located at the University’s flagship City Centre Campus, based in the cutting-edge facility Millennium Point. At the point of application, you must have or be working towards GCSE at Grade 4 (C) or above in English Language and Mathematics. Equivalent qualifications can be considered in lieu of GCSE subjects as long as the required subject are covered. Access to Higher Education Diploma 60 credits overall. Minimum of 45 credits at level 3. Including 12 credits at Merit or Distinction with 9 in Mathematics and 3 in Science. Must already hold GCSE Mathematics and English Language Grade 4 or higher or the equivalent at application point or currently taking. BTEC National Diploma (12-units not including early years)/ Pearson BTEC Level 3 National Diploma D*D* or combined with other level 3 qualifications to achieve a minimum total of 112 UCAS points. A Distinction in Mathematics for Technicians unit or a Merit in Further Mathematics for Technicians unit. BTEC Extended Diploma (18-units not including early years)/ Pearson BTEC Level 3 National Extended Diploma DMM - 112 UCAS points. A Distinction in Mathematics for Technicians unit or a Merit in Further Mathematics for Technicians unit. BTEC Subsidiary Diploma/ Pearson BTEC Level 3 National Extended Certificate Combined with other level 3 qualifications to achieve a minimum total of 112 UCAS points. In addition, you will require a grade C in A Level Mathematics or equivalent such as a Distinction in Mathematics for Technicians unit or Merit in Further Mathematics for Technicians unit. Obtain a minimum of 28 points overall with a minimum of Grade 5 in Mathematics (Higher Level) and pass one of the following subjects from Group 4 at Higher Level (Computer Science, Chemistry, Design Technology, Physics). Students who do not complete the IB Diploma will be considered on the basis of their IB Certificates and alongside other acceptable level 3 qualifications to meet 112 UCAS Tariff Points. Obtain a total of 14 points or above from three Higher Level Subjects. For students who do not already hold a GCSE in Mathematics at Grade C/4 or above Grade 5 or above in Mathematics at Standard Level will be accepted in lieu of this from the IB Diploma. For students who do not already hold a GCSE in English Language at Grade C/4 or above Standard Level English Language (not literature) Group A English Group A - Grade 4 or above, OR English Group B Grade 5 from the IB will be accepted. Irish Leaving Certificate Pass the Irish Leaving Certificate with a minimum of 112 tariff points, achieved in four Higher level subjects. Maths must be at Higher Level. Must include English Language taken at either Ordinary level (minimum grade O1-O4 (or A-C/A1-C3)) or Higher level (minimum grade H5/D1). Achieve a minimum of 112 tariff points achieved in either three Advanced Highers or from a combination of two Advanced Highers plus two Highers. Where three Advanced Highers have been taken achieve a minimum of grades CCD. Where a combination of Highers and Advanced Highers have been taken you must achieve (grades of CD in two Advanced Highers plus grades of CC in two Highers). 2 advanced highers with Mathematics at advanced highers or equivalent grade BBC. At the point of application, you must have GCSE at Grade 4 (C) or above in English Language and Mathematics. Equivalent qualifications can be considered in lieu of GCSE subjects as long as the required subject are covered. 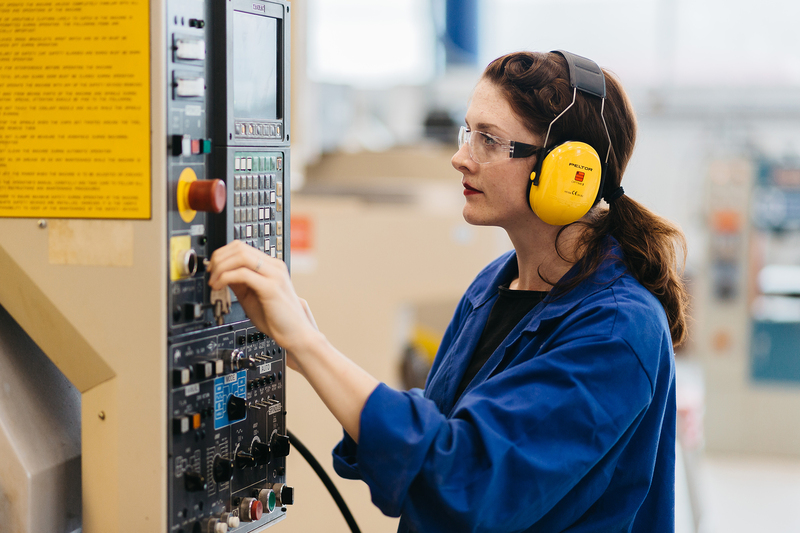 Access to Higher Education Diploma Pass overall in an Engineering Access diploma with 60 credits, 45 at Level 3 and 15 at Level 2, including with a minimum of 15 credits at Merit or Distinction with 9 credits of these credits from Mathematics units and 6 credits in Science units. Must already hold GCSE Mathematics and English Lamguage Grade C or higher or the equivalent at application point. BTEC National Diploma (12-units not including early years)/ Pearson BTEC Level 3 National Diploma D*D* or combined with other level 3 qualifications to achieve a minimum total of 128 UCAS points. A Distinction in Mathematics for Technicians unit or a Merit in Further Mathematics for Technicians unit. BTEC Extended Diploma (18-units not including early years)/ Pearson BTEC Level 3 National Extended Diploma DDM - 128 UCAS points. A Distinction in Mathematics for Technicians unit or a Merit in Further Mathematics for Technicians unit. BTEC Subsidiary Diploma/ Pearson BTEC Level 3 National Extended Certificate Combined with other level 3 qualifications to achieve a minimum total of 128 UCAS points. In addition, you will require a grade C in A Level Mathematics or equivalent such as a Distinction in Mathematics for Technicians unit or Merit in Further Mathematics for Technicians unit. Obtain a minimum of 32 points overall with grade 4 or above in at least one Higher Level subject from Group 3 or 4: Students who do not complete the IB Diploma will be considered on the basis of their IB Certificates if they obtain a total of 16 points or above from three Higher Level Subjects with grade 4 or above in at least one Higher Level subject from Group 3 or 4 and alongside other acceptable level 3 qualifications to meet 128 UCAS Tariff Points. 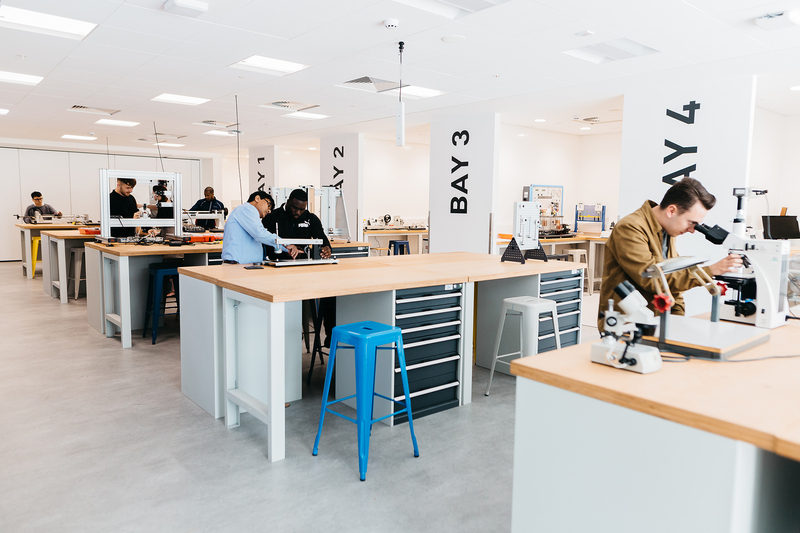 For students who do not already hold a GCSE in Mathematics at Grade C/4 or above grade 4 in Maths (Standard Level) from the IB Diploma will be accepted Engineering related courses. For students who do not already hold a GCSE in English Language at Grade C/4 or above Standard Level English Language (not literature) Group A - Grade 4 or above, English Language Group B Grade 5 from the IB will be accepted. Irish Leaving Certificate Pass the Irish Leaving Certificate with a minimum of 128 tariff points, achieved in four Higher level subjects. Maths must be at Higher Level (grade TBC). Must include English Language taken at either Ordinary level (minimum grade O1-O4 (or A-C/A1-C3)) or Higher level (minimum grade H5/D1). Achieve a minimum of 128 tariff points achieved in either three Advanced Highers or from a combination of two Advanced Highers plus two Highers. Where three Advanced Highers have been taken achieve a minimum of grades CCB. Where a combination of Highers and Advanced Highers have been taken you must achieve (grades of CC in two Advanced Highers plus grades of CC in two Highers). 2 advanced highers with Mathematics at advanced highers or equivalent grade ABB. 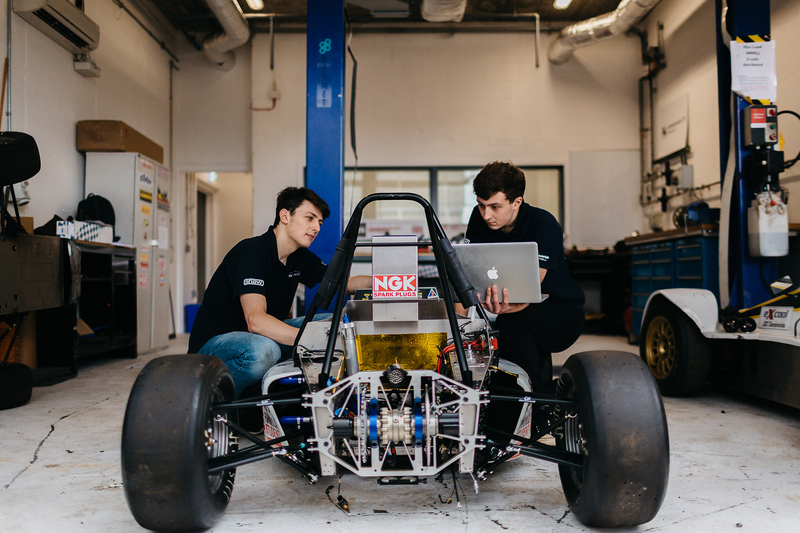 The module aims to provide the underpinning knowledge and problem solving skills in engineering science to enable you to progress to the second year of a wide range of engineering degrees. As the practical aspects of engineering science are delivered in another theme of the common first year, the Engineering Principles modules concentrate on the theoretical aspects. The subject material will be delivered in two coherent streams one of which contains predominantly mechanical science and the other contains predominantly electrical science. Information is the basic thread of life and signals are the medium by which information is passed. This module will focus on classifying and mathematical modelling of signals and systems in the context of Electrical and Biomedical engineering. During the module analytical techniques will be introduced used to transform signals from one domain to another and vice versa. While mathematical techniques will be used and contextualised for actual system hardware. At the end of this module you will be able to determine a systems response and their applications in electronics and Biomedical engineering. This module introduces you to the fundamentals of analogue and digital electronics using a circuit approach. It has been designed to give you a usable level of electronics theory to demonstrate key concepts. The MEng Electronic Engineering programme is designed to produce graduates with highly developed skills both in theory and practice. This module will focus on contextualising the theory gained in Analogue and Digital electronics as well introducing embedded systems for both electronic engineering and biomedical applications. The development of knowledge in analogue and digital electronics, real-time embedded systems and programming, and robotics and control is specified in the aims of the programme. Microcontroller System Design and Programming is an introduction to programming in the C language, and to hardware and software tools and techniques for embedded systems design with microcontrollers. 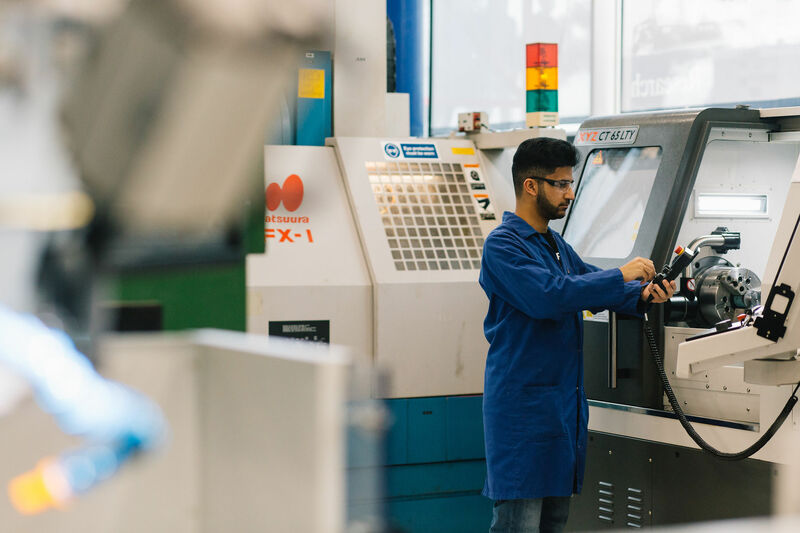 The MEng Electronic Engineering programme is designed to produce graduates with highly developed skills in electronic systems design, who will have the technical and management capability required by employers in a rapidly changing technological landscape. The aim of this module is to integrate skills and knowledge gained from your course into one practical project. The endpoint of this project will be wheeled robot capable of competing in a robotic competition, with the intention of entering a national or international competition. Digital filters have numerous advantages compared to analogue filters. These filters are implemented using hardware and firmware compared to analogue filters which are implemented solely on hardware. Successful completion of this module will allow you to be able to analyse the magnitude and phase responses of filters. 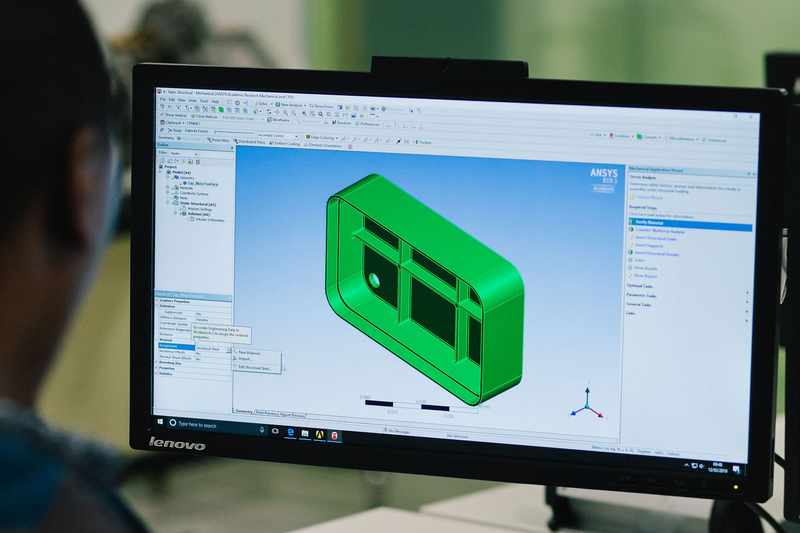 Whilst this module is rich in analytical techniques and concepts, it will be contextualised at all times for practical hardware examples. 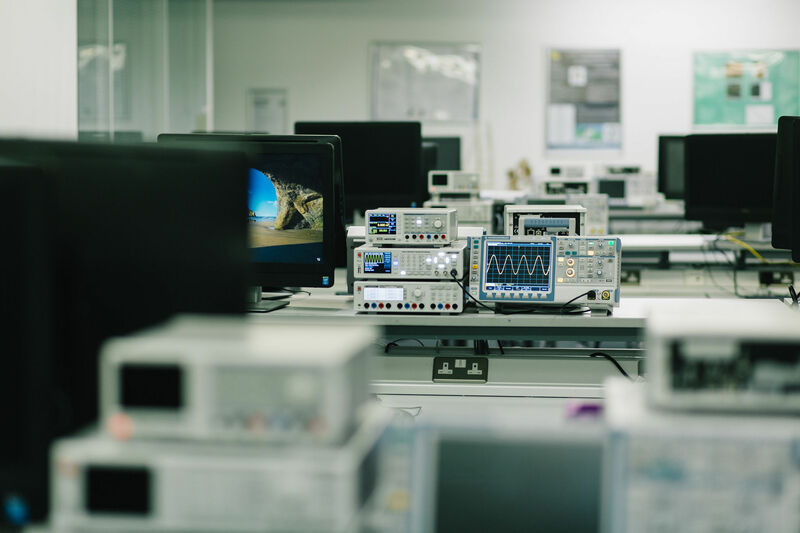 The MEng Electronic Engineering Programme aims to develop an understanding of the broad nature of electronic engineering through a themed approach encompassing analogue electronics, digital electronics, communications, embedded systems and business. The aim of this module is to develop an appropriate knowledge of embedded systems such that on completion of the module you are able to specify, design, implement and test microprocessor-based hardware and software for real-time applications. Embedded Systems and Control gives in-depth practical experience of designing and building realtime embedded systems, from both hardware and software perspectives. It has been designed to provide a high level of practical embedded systems knowledge which, when combined with the digital and analogue electronics knowledge gained from underpinning and parallel modules, will produce graduate electronic engineers capable of having an immediate impact in the industry. The module provides you with an understanding and knowledge in the principles and applications of telecommunications and information networks. The module will focus on case studies of particular applications in wired and wireless communications systems and in high speed networking. Telecommunication and networking technologies are key components of modern revolutionary technologies. This module provides you with the knowledge to understand modern communication systems and the functions of the Internet. In addition, you will gain related analytical skills that can be applied in designing modern communication systems and information networks. This module provides an introduction to the principles of high frequency electronics and to familiarise you with the theory and application of analogue building blocks for high-frequency applications. It will enable you to gain an in-depth understanding of power electronic devices and analysing power electronic circuits. The aim of this module is to allow you to develop an appropriate knowledge of the use of hardware description languages for digital design such that on completion of the module you will able to specify, design, implement and test digital circuitry implemented in FPGA, CPLD and other programmable digital devices. The module has been designed to provide you with a high level of practical work to consolidate the theoretical aspects and improve employment options. The module utilises the mathematical concepts such as transform calculus and matrix theory used to model systems using both the transfer function and state-space paradigms. You will then be able to design controllers for linear systems using time and frequency response methods, in particular, pole placement techniques will be applied using both input-output and state-feedback approaches. These will then be extended to observer design and LQR optimization. This module introduces the key integrated circuit techniques for BJT and MOS design, starting with transistor circuits (current mirrors, long tail pairs, amplifier stages, buffers) and extend your knowledge and expertise into analyse and design basic analogue microelectronic building blocks at the circuit level, with an emphasis towards integrated circuit architecture with applications in communications circuits. The circuits will be developed using schematic and simulation design techniques to enable analogue circuits and systems to be implemented. The circuit elements will then be extended to cover current sources, CMOS and BiCMOS circuits and current mode circuits. These building blocks will then be expanded into useful system level blocks such as phase locked loops, integrated circuit architecture and communications IC architecture. Fundamentally important issues such as noise, IC architecture and power consumption will also be covered in this module. Digital Signal Processing is an emerging field in electronic engineering which has been rapidly growing over the last few decades. In DSP data is converted from the continuous domain into the discrete domain and processed as scalar dimensionless values. 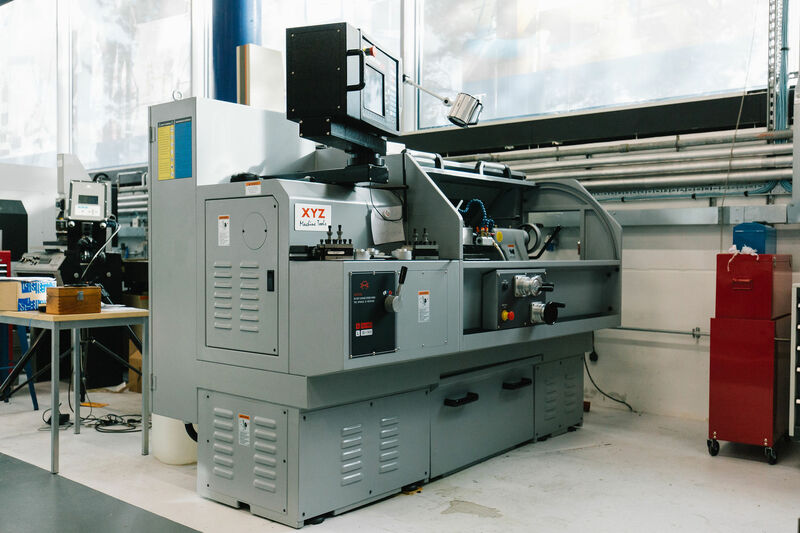 This when compared to Analogue (continuous time) processing Digital (discrete time) processing has a number of tangible benefits including but not limited to, repeatability, cost, response which is a closer approximation to ideal characteristics. DSP has applications in wide range of disciplines ranging from biomedical electronics and media. 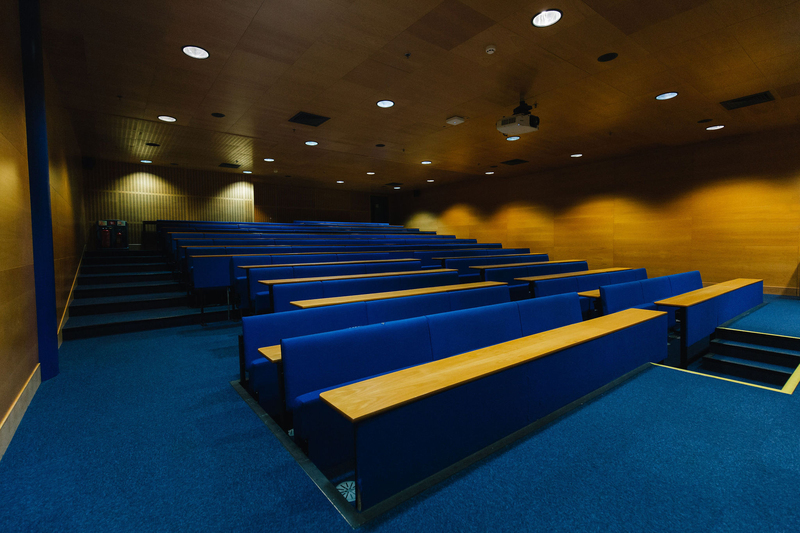 We will shape and enhance your knowledge through formal lectures, tutor-led seminars and practical activities, as well as a range of independent learning activities. The latter includes an element of peer review, in order to evaluate the effectiveness of the learning. Technology-enhanced learning is also used, through online resources, discussion forums and other activities, and a range of case studies and problem-based learning scenarios are implemented to sharpen your skills. A range of assessment methods are employed with associated assessment criteria. You’ll be assessed through formal and summative methods, including coursework, examinations, presentations, practical assignments, vivas, online tests and project work. In your third year, you will conduct an individual project, where you will hone and enhance your organisational, research and time management skills. A typical week on this course will include 12-15 hours per week of contact time over four days, plus self study time. You can go on to study an MEng or MSc in related subjects and opt for a research (MPhil and PhD) postgraduate programme. Details can be found on the postgraduate section of the website. We will provide you with the attributes you need to be successful in employment. Upon graduating, you’ll be able to demonstrate professionalism at all levels, as well as being a creative problem solver with innovative ideas, a global outlook and an open-minded, diverse personality. Birmingham City University also has the Graduate+ scheme and you could also gain work experience with OpportUNIty: Student Jobs on Campus. You have the option to conduct an industrial placement year, gaining valuable work experience in a real-life company. You’ll be supported by a placement officer, who will assist you in finding a placement and applying for the position. 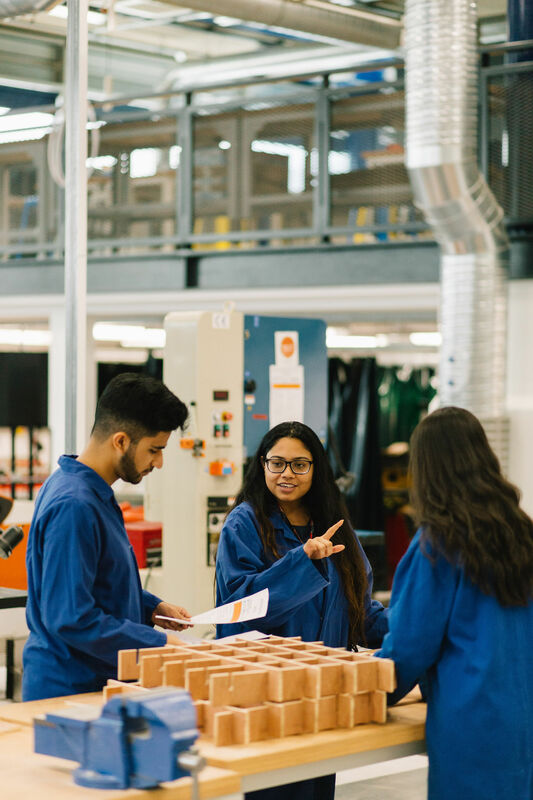 Thanks to our excellent partnerships and working relationships with some of the UK’s leading companies, our students have previously worked with General Electric, UTC Aerospace and Bosch. Having finished the course, I’m now working with the company where I did my placement as an embedded software engineer. 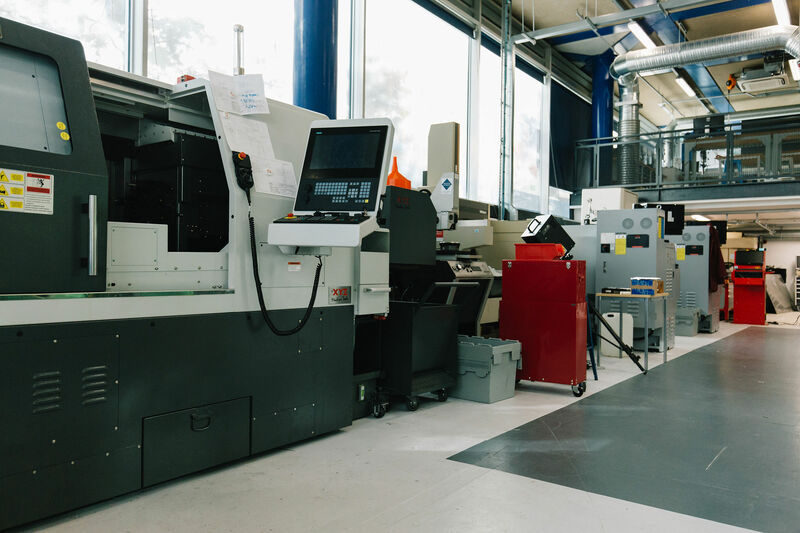 The company is Vector GB, the UK subsidiary of Vector Informatik, which is a large German software company that provides embedded electronics, systems tools and services to the automotive industry. Being at university allowed me to secure the placement year which lead directly to finding employment. I am currently a Graduate Electrical Engineer, working for construction consultancy Cundall. I work on the electrical building services for all types of projects, and have designed complete lighting systems, fire detection and alarm systems, security provisions, and lightning protection designs. I’ve produced reports, completed surveys, checked installation works and liaised directly with clients and other members of the design team. Providing technical sales and support of various electronic systems and technologies. 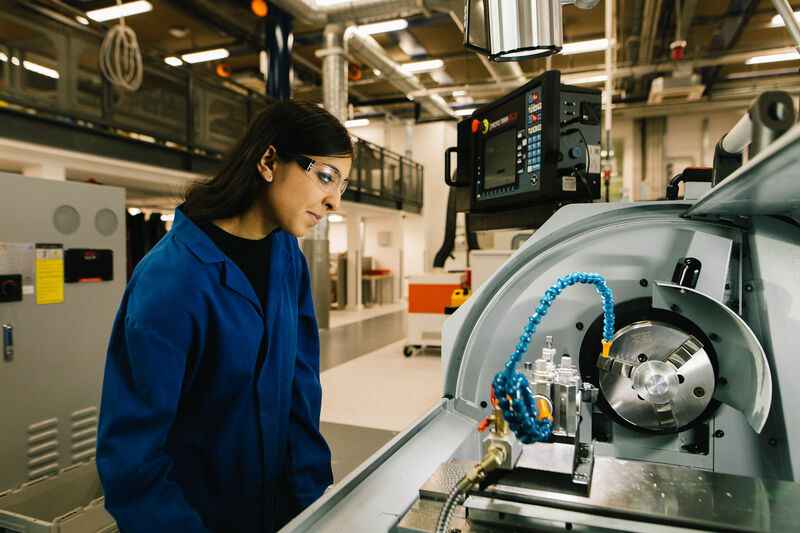 Engineering courses are one of the top 12 degree subjects for getting a job according to The Telegraph, with around 85.4 per cent of graduates nationwide finding work or going into further education within six months of finishing their degree. Salman was awarded a prestigious Institution of Engineering and Technology (IET) Undergraduate Grant in the final year of his BEng degree, in recognition of his outstanding performance on the course. 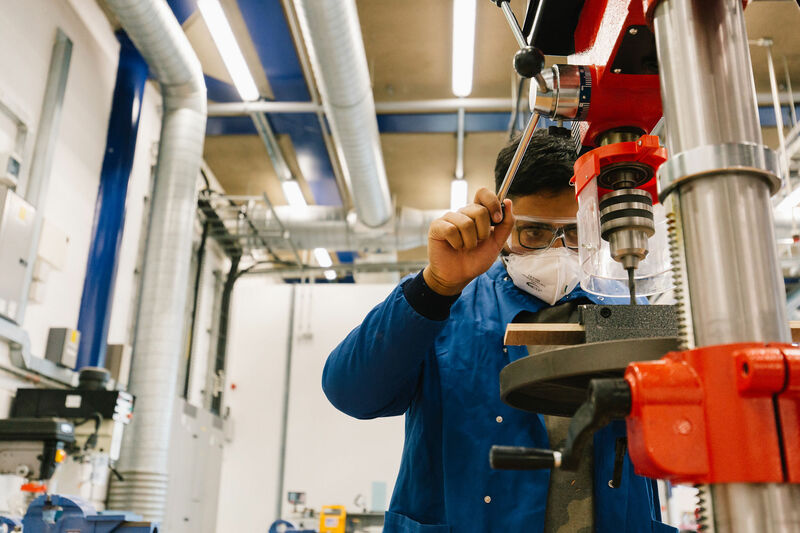 Salman, who is from Pakistan, was attracted to Birmingham City University as he knew that many graduates from the University go on to work for high quality companies such as Rolls-Royce. He also expected to feel at home in the city as he knew that Birmingham has a large Asian population. The award has boosted Salman’s confidence and motivated him to go even further. He is on course to achieve a First Class degree, and his tutors are encouraging him to stay on and undertake an MEng qualification after completing his BEng. I was more than happy when I found I had won – I was overjoyed. This award is not just for me. It also shows the hard work of the staff who have helped me to get where I am. Our Electronic Engineering course recruits a diverse range of students, both from home and abroad. In the past, we have had students from Italy, China, India, Vietnam and Nigeria (among others), demonstrating the diversity of our cohorts and creating a rich, eclectic learning experience. You will be based at our cutting-edge Millennium Point building, located at our flagship City Centre Campus. 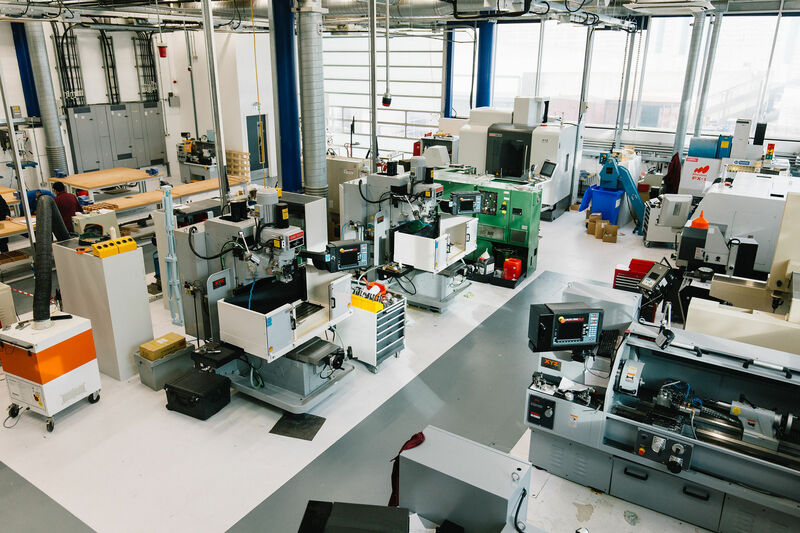 We have dedicated labs for electronics, microprocessor, electronic computer-aided design (ECAD), communications, networking, programming and project work. There are suites of open-access PCs for general use by all students. 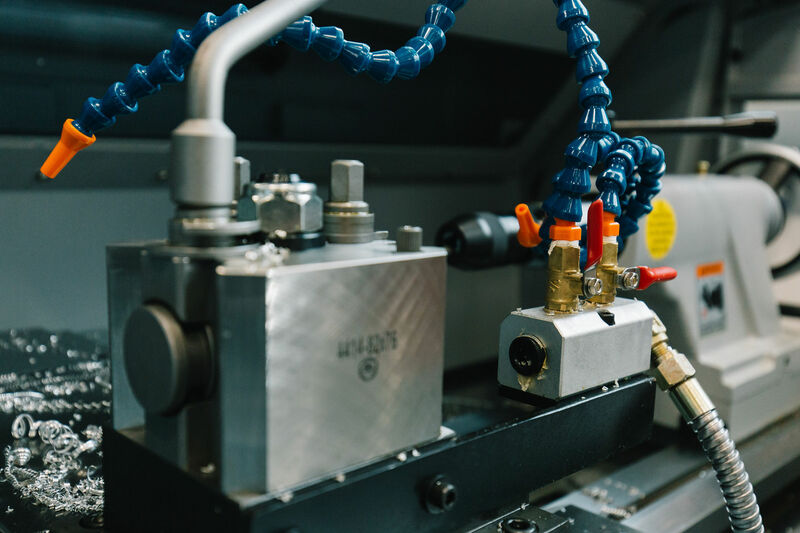 We have rapid prototyping, laser-cutting, and CNC machining capabilities for project work. 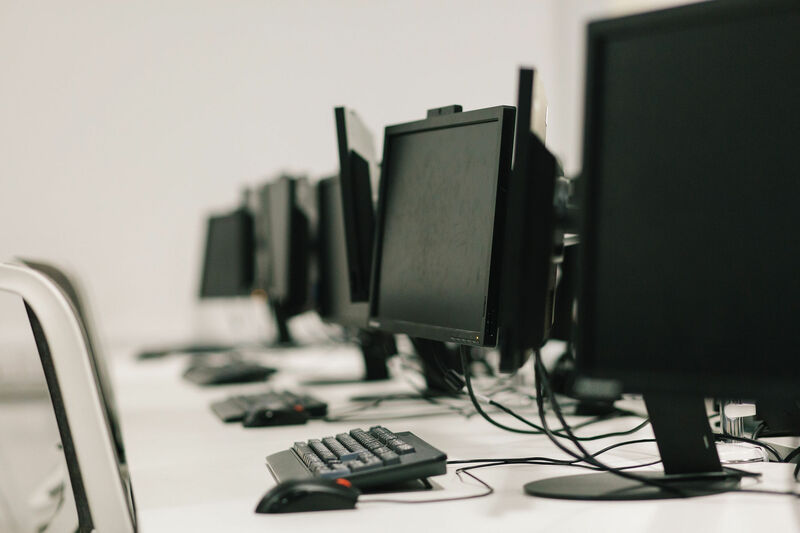 We have site-wide wi-fi for laptops, smartphones, and tablet PC connectivity. 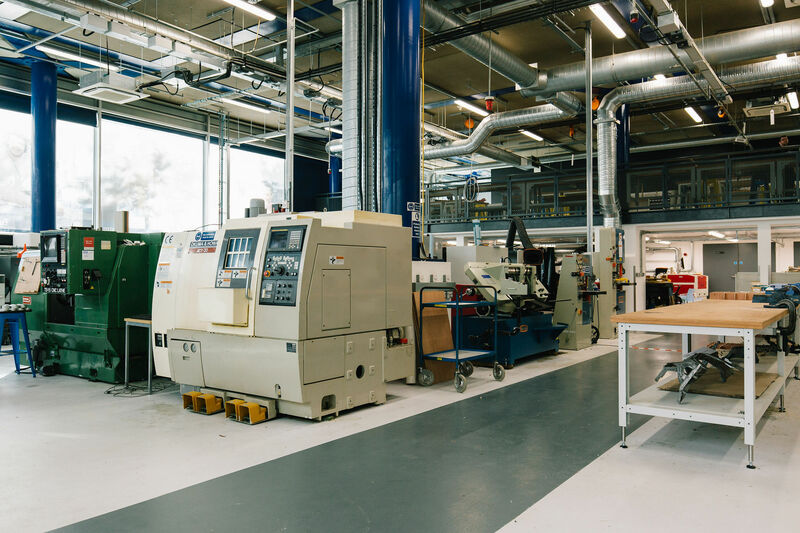 The environmental lab is part of the Centre for Low Carbon Research (CLCR) and is home of the bioenergy and bioprocessing research group at the Faculty of Computing, Engineering and the Built Environment. The suite is divided into three main areas a wet lab/pilot facility a fully equipped analytical suite and a microbiological lab. 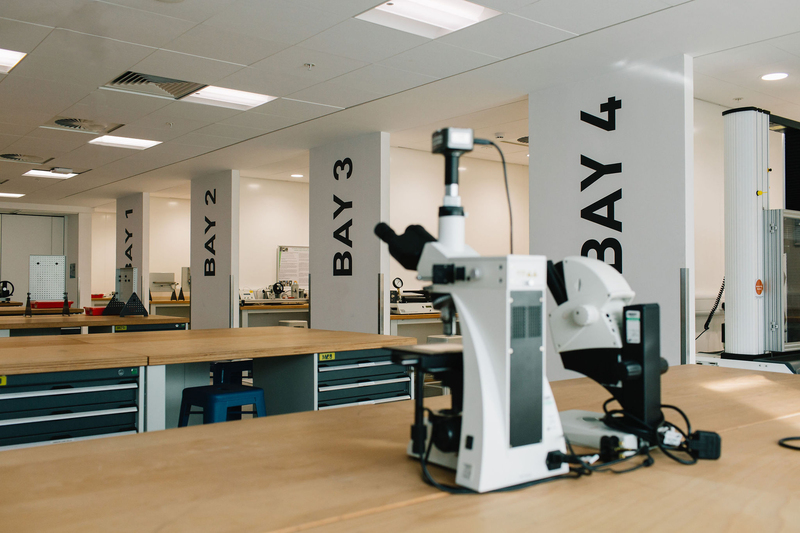 This newly refurbished facility offers state of the art analysis and testing of environmental samples as well as scientific evaluation of lab scale and pilot scale technologies and processes. Programme Leader for BEng (Hons) Electronic Engineering and BEng (Hons) Telecommunication and Networks undergraduate courses. 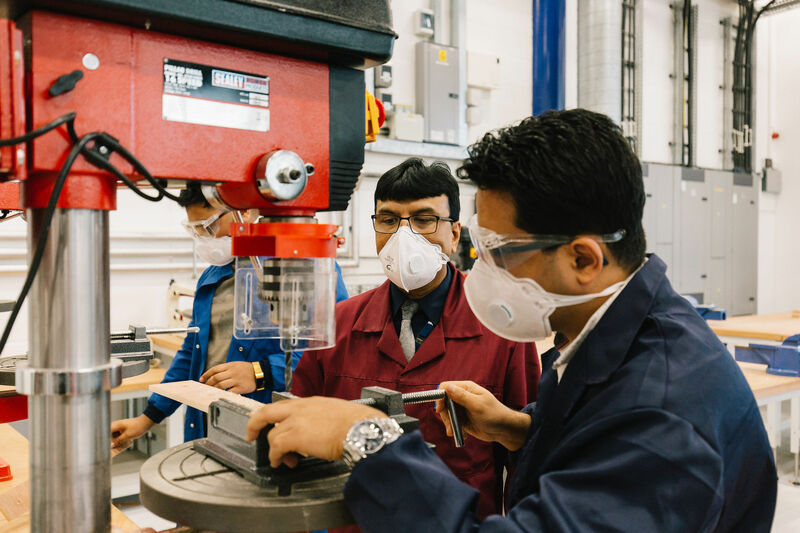 Dr. Fawaz Annaz had a long international career in Mechatronics Engineering, where has taught and conducted research in many countries including the UK, Singapore, Japan, Malaysia and Brunei. Electronic and Communications Engineer with over nine years of industrial experience in hardware design and development and network testing and 11 years of experience as a lecturer and senior lecturer. 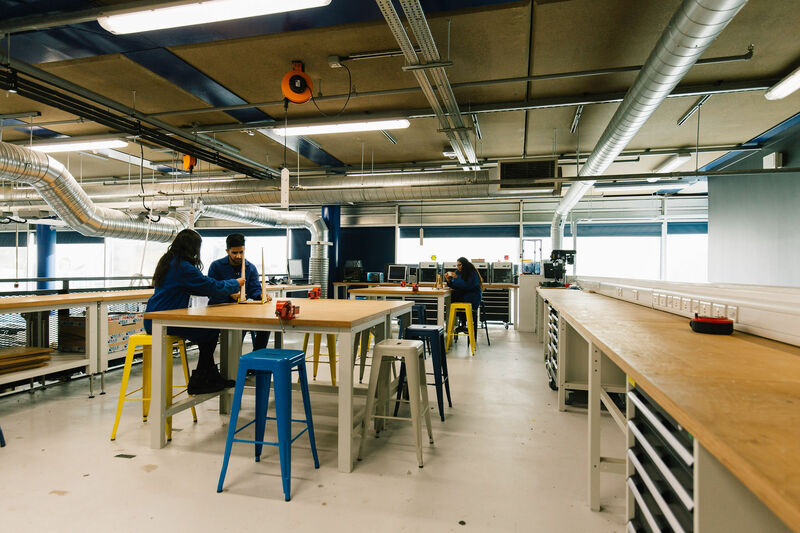 Currently Course Director for BEng (Hons) in Communications and Networks Engineering and Electronic Engineering, delivering modules in Electronics and Communications Technology.